I really enjoyed reading this book! The Annotated and Illustrated version of The Double Helix includes photos, letters, sketches, and biographical information about the other actors in this human drama over the structure of DNA. Author James Watson narrates the intrepid scientific journey of discovery on which he and Francis Crick traveled, eventually leading to the 1962 Nobel Prize in Physiology or Medicine with Maurice Wilkins. By my reckoning Watson’s two greatest blunders were his move from Copenhagen to Cambridge in September 1951 before getting permission from the NRC Merck Fellowship Board (p. 38-39 and Appendix 3), and the embarrassing presentation to the King’s College group in December 1951 (where he mis-remembered the water content of DNA, p. 91-93). Despite these setbacks, Watson’s exuberance, keen curiosity, resilience after failure, and sense of humor carried him forward to the published solution on 25 April 1953. The Double Helix should inspire graduate students everywhere when research gets tough. 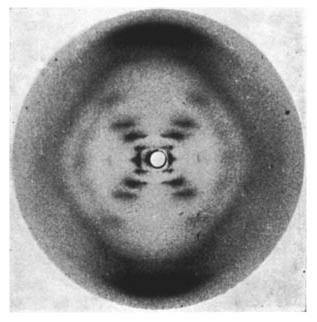 Page 182 should at last refute the longstanding claim that Photo 51, taken by Rosalind Franklin, was used by Watson and Crick without her knowledge or permission. Page 182 contains dual statements by Ray Gosling and Maurice Wilkins about the fateful handover. They both agree that as Rosalind Franklin was hurriedly preparing to leave King’s College for Birkbeck College (also in London) in January 1953, she directed Gosling to turn over Photo 51 to Wilkins as a “present” to use as he wished. Accordingly, on January 30, Gosling met Wilkins in the corridor, handed him the crucial X-ray diffraction image, and assured the surprised recipient that he could do whatever he wanted with it. Shortly thereafter (early February 1953) came the angry encounter between Rosy and Jim Watson, leading to Maurice showing Watson Photo 51 (Chapter 23). Yes, the transfer was irregular, and Franklin’s lack of formality here has cast suspicion that lingers to this day. But Rosalind Franklin did indeed turn over her DNA research results to Maurice Wilkins with explicit permission to use as he judged best. That usage properly included sharing the photo with research collaborators Francis Crick and James Watson. Well, you just read this book review without my knowledge, didn’t you? Carl Drews is author of Between Migdol and the Sea: Crossing the Red Sea with Faith and Science. This review was also published at Amazon.com.